9700 E Holiday Way Sun Lakes AZ in Oakwood has just been listed! ALL OF THE AMENITIES – NONE OF THE WORK! Are you looking for a turnkey home? If so, then you don’t need to look any further than 9700 E Holiday Way! 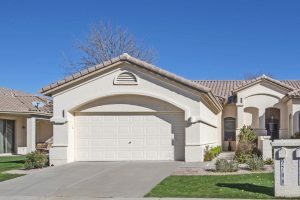 This villa sits in the Oakwood community of Sun Lake AZ, it’s well maintained and move in ready. Not only are their two bedrooms and two bathrooms inside but outside you’ll find a covered patio to enjoy Arizona evenings. Certainly, the two car garage with extra storage cabinets will keep your home clutter free. You will be ready for all that Oakwood has to offer with the location of your new villa. Close and convenient for all of the activities you will want to be doing! You won’t have to worry about the yard work, exterior repairs, painting, etc. The fact that the exterior is taken care of by your HOA, you can relax and enjoy all of the benefits of living in Sun Lakes. 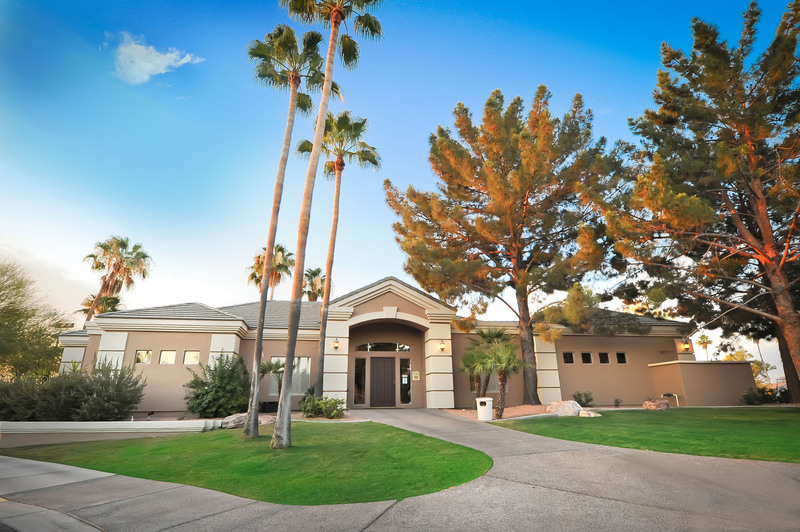 Resort lifestyle at 9700 E Holiday Way Sun Lakes AZ! Without having to worry about yard work, you will get more time to practice your golf, pickleball, tennis or take leisurely walks. Living in the gated community of Oakwood makes you feel like you live at a resort full time! You will have access Oakwood’s amenities and also everything Ironwood offers. Together, these two communities form Iron Oaks. And the choices are endless at IronOaks! 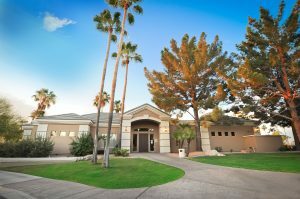 Amenities include multiple golf courses, pickleball courts, tennis courts, driving range, fitness center, walking paths, and many clubs and organizations. Whether you’re looking for a sporting activity, arts, volunteer options or entertainment, you will find it all here. Not only do you have access to all the amenities but when you live in Sun Lakes, but your location in the valley is exceptional. Whether you want to pick up your house guests from the airport or find a fun afternoon of shopping, everything is a short drive. Are you ready for more information about 9700 E Holiday Way Sun Lakes AZ? Contact us here or call us at 480-440-0849.